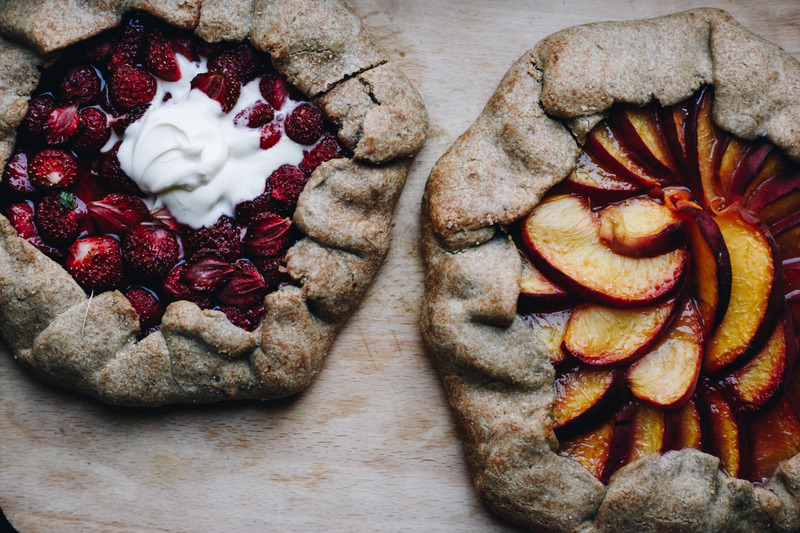 I’m currently in France as I write to you today, in the beautiful costal town of Cassis to be precise, and I have a delicious fruit galette recipe to share. The recipe came about a few weeks ago, after a few busy days exploring Paris – yeah, I know crazy to think these photos were taken in Paris! It was our first time visiting the beautiful city so there was a LOT on the agenda – sights to see, croissants to eat and restaurants to dine in. And this came after 10 days of doing similar in Amsterdam, so it was only natural that by our last day we needed some good old R&R, a day to sleep in, “reset” and cook! Luckily it was Thursday, also Bastille market day, which was only a stone throw away from the apartment we were staying in. After a slow morning, we wrote a list over coffee (of which we knew we probably wouldn’t stick to) and set off to the market. Being the prepared little foodies that we are (and thanks to this podcast we listened to prior), we had a few tricks up our sleeves to scour out the best produce. Of course it all looks amazing, but by law in France, vendors must specify the place of origin and category (or quality) of their produce. So category 1 peaches from “small village in Provence” are going to be a lot better than category 3 peaches from “France.” Super handy! With really good croissants and pastries teasing us constantly my gut was definitely fed up with the little bits of gluten I’d been sneaking in (because when in Paris), so it was important to make something gluten free and healthy-ish, and something simple that could be made in a teeny Parisian kitchen. Luckily it’s extremely easy to hunt down buckwheat flour here as it’s the primary ingredient in the typical French savoury crepes (also called galettes). Buckwheat flour is naturally gluten free and full of great nutritional properties, and it gives a wonderfully nutty flavour to the pastry. 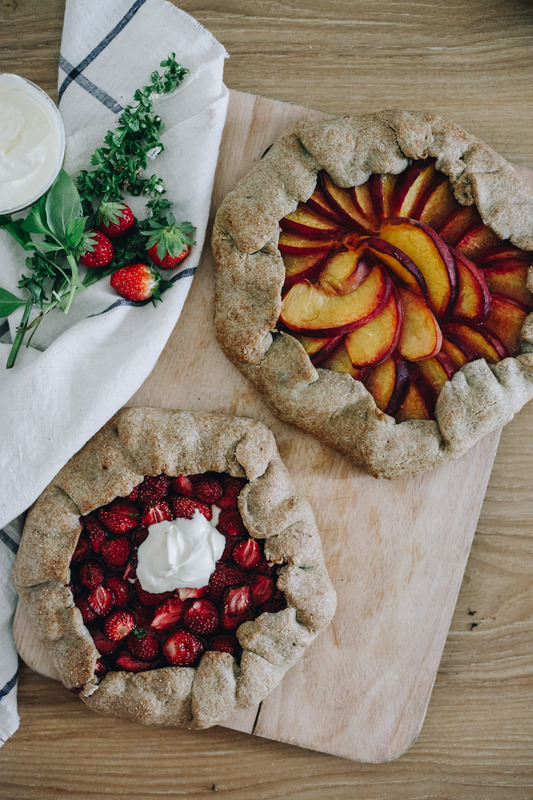 The galette you see here is more like a rustic and simple to make pie, and when done with the right ingredients like in this recipe, it can actually be a really healthy treat. 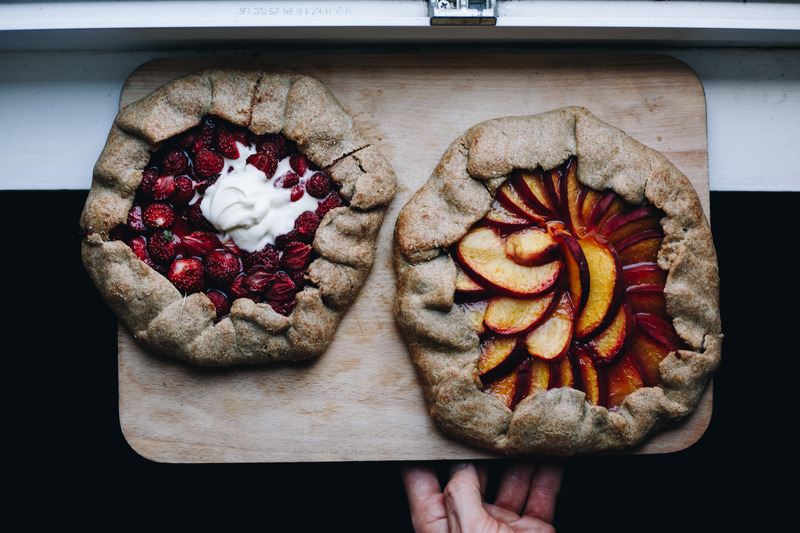 So the market definitely pulled through with the goods and that evening we baked a tray of veggies for dinner, which was swiftly followed by slices of sweet and tart strawberry and peach galettes – so good. In a mixing bowl, combine the flours and salt. Using your fingers or a mixer, cut in half the butter until the mixture resembles course sand. Cut in the remaining butter. Pour in the ice water and combine until the mixture comes together to form a soft dough. Split the dough in half and flatten each into a disk, wrap in plastic and refrigerate for at least 30 minutes. Preheat oven to 180C and prepare the fruit. 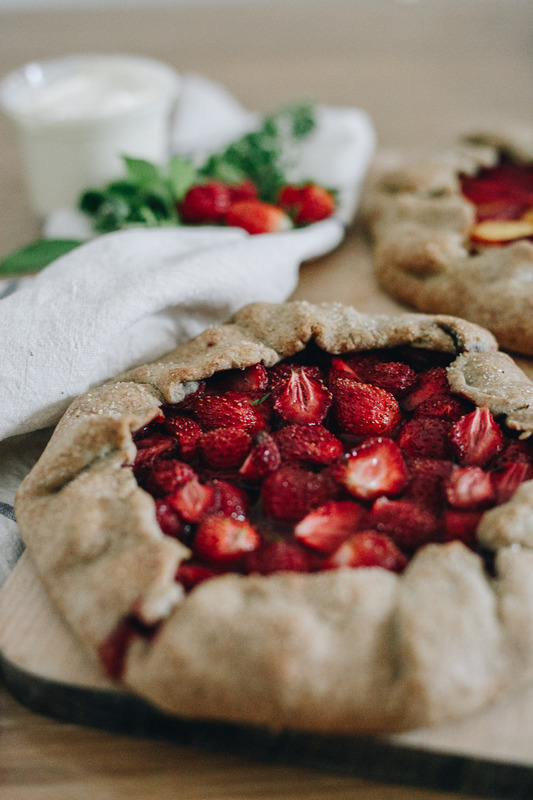 Because I’m currently enjoying a European summer, I chose to make a strawberry galette (for low FODMAP) and a peach galette. Cut the strawberries in half and mix together with a sprinkle of sugar. Slice the peaches and mix together with a sprinkle of cinnamon. On baking paper, roll each disk into a large circle. Layer the fruit starting from the middle working your way to roughly 3 cm from the edge. 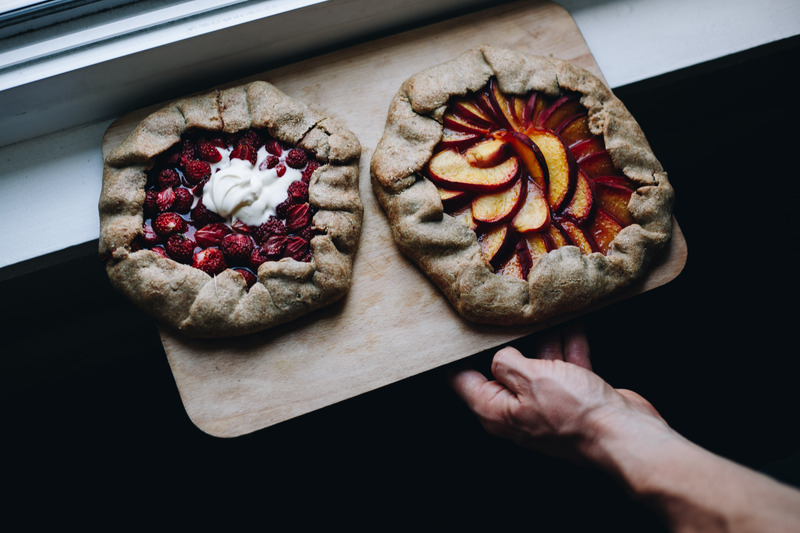 Fold the extra pastry over the layered fruit, pleating to hold the fruit in nicely. Brush the pastry with milk of your choice and sprinkle with sugar. Bake for 30-40 minutes. Serve with creme fraiche or yoghurt, and handful of fresh mint.